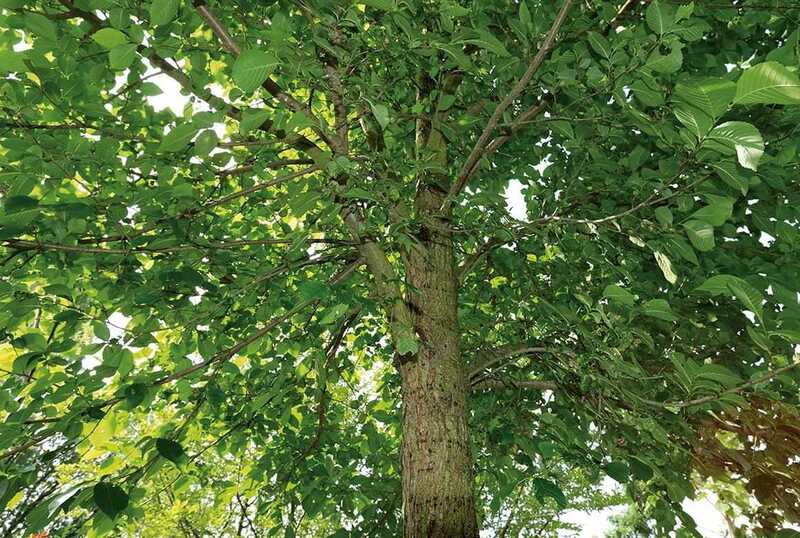 Following the devastation of elms in the 1970s, when populations were ravaged by Dutch Elm Disease, it has been discovered that surviving elm trees, originally protected by the natural barrier of the South Downs, are now under threat. 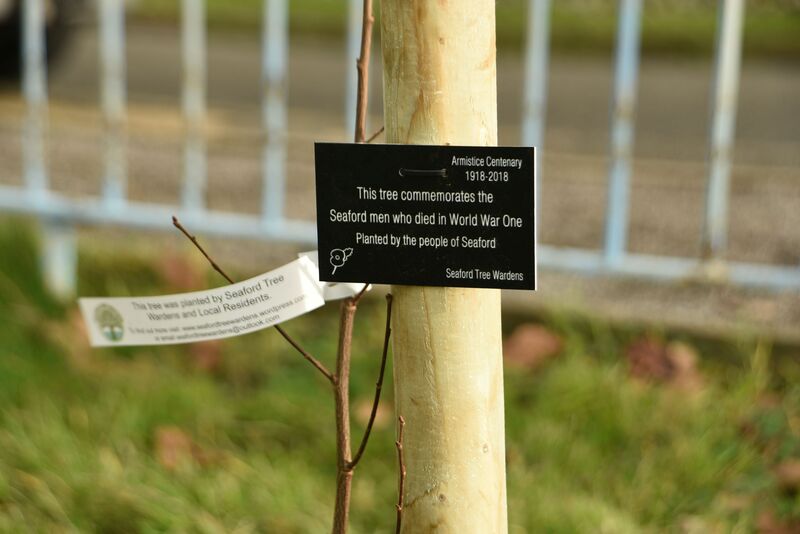 Seaford Tree Wardens, supported by Seaford Town Council and the local community, came up with a plan as part of the centenary of the Armistice, to plant a tree in honour of every name on Seaford War Memorial. There are 104 names listed of men who lost their lives in the First World War, and a planting programme is planned of specially bred disease-resistant elm cultivars - one for each man and boy who died. Elms for Armistice planting will take place in Seaford school grounds, a local church, and the golf course, as well as in the town, in Alfriston Road, and in Bishopstone village. 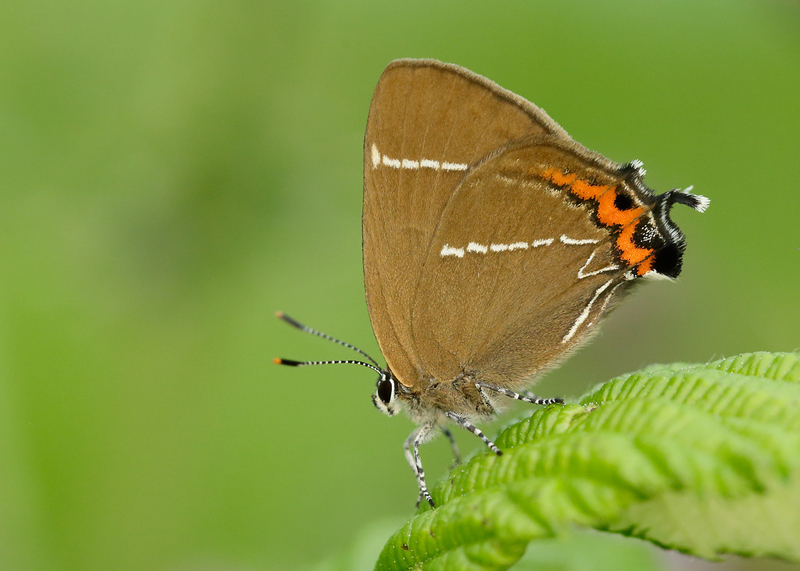 As well as being a beautiful tree, the elm is well suited to harsh coastal conditions and supports a wide range of wildlife, including the rare white-letter hairstreak butterfly, which relies solely on the elm to complete its lifecycle. Colonies have survived in Seaford but the loss of elms now presents a serious threat to this butterfly. Sussex Wildlife Trust has joined forces to support the Seaford Tree Wardens and the Sussex branch of Butterfly Conservation to protect this butterfly as part of its Seaford Community Wildlife Project supported by Heritage Lottery Fund, thanks to National Lottery players. 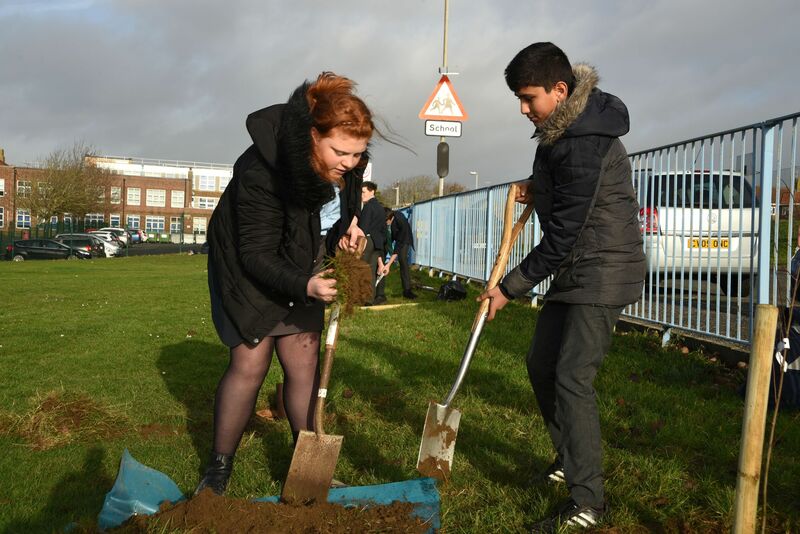 Planting at the various sites will take place in December, and one of the locations is Seaford Head School in Arundel Road, Seaford (pictured). 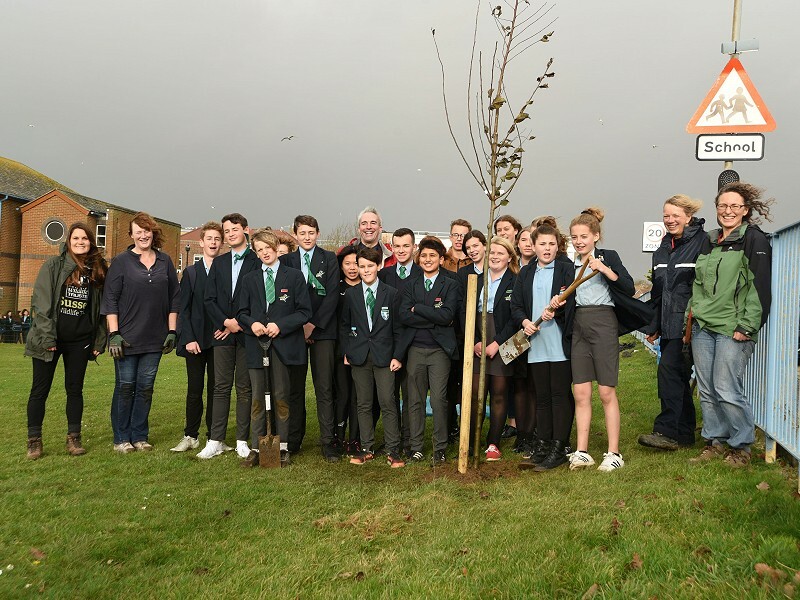 We met with Margery Diamond and other members of the Seaford Tree Wardens team, and with the help of Assistant Headteacher Rob Handy and a team of volunteer Year Nine pupils, worked hard, digging holes and planting a number of elms. The adult butterflies fly high in the tops of elm trees in June and July. If you stare up at the trees in the summer you can see the males fighting over their territories. The females lay eggs on the elm trees and the caterpillars only feed on the leaves of elm trees. Seaford has lots of elm trees so it is one of the best places in the south-east to see the white-letter hairstreak. With the loss of elm trees we are losing this butterfly's home. They are dark butterflies with a white W on the wings. The little 'tail' on the end of the wing are false antennae to give the impression that is the head end and deflect an attack by a bird's beak. Other partners involved in supporting the Elms for Armistice project include South Downs National Park Authority, Seaford Town Council, Lewes District Council and East Sussex County Council. More about Seaford and World War One roll of honour.